The social consequences of having a large or unattractive nose are not limited to adults. Many teens feel self-conscious and unhappy with their appearance because of their nose. If you are a parent of a teenager who is suffering these consequences, you may be wondering if plastic surgery is even an option. The short answer is yes. 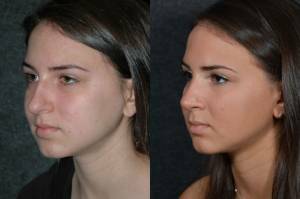 A nose job, or rhinoplasty, is not only safe, but it is also the most common cosmetic surgery performed on teens. The American Society of Plastic Surgery (ASPS) indicated in 2012 that plastic surgery among teenagers is on the rise, with the number of teen patients reported at up to five times the number it was fifteen years ago. This does not mean rhinoplasty is right for all teens. It is a decision that must be safely agreed upon by the parent, teen and physician. Timing is important when it comes to teen rhinoplasty. An experienced surgeon, such as Dr. Ben Talei, can accurately determine if your adolescent’s facial growth is adequate for the procedure. Prematurely disturbing the growth center of the face, which is the septum of the nose, could lead to abnormal facial development. In general, most girls are candidates for rhinoplasty about one year after their first menstrual period. The right time for boys can vary, although nose surgery can often be safely performed by the age of 16. You may also need to consider the recovery experience. Is your teen mature enough to handle the procedure and follow the recommended pre and post-operative guidelines? Your teenager can expect to return to normal activities after one full week. However, contact sports should be avoided for as much as 6 to 8 weeks to preserve rhinoplasty results. It is important to carefully plan an ideal time for nose surgery for your active teen. Many patients elect the summer or winter break as an optimal time period. Although the surgery itself is not painful, your teen can expect discomfort, bruising and swelling for the first few days after rhinoplasty. Educating your child on what to expect can dramatically improve his or her recovery experience. When it comes to teen rhinoplasty, it is Dr. Talei’s goal to create results that look natural, harmonious and balanced with other facial features that are unique to your child. In most cases, classmates will not even notice that your child had nose surgery – yet your teen can benefit from a less prominent nose and greater self-esteem. If you and your teen would like to learn more about rhinoplasty, please schedule a consult with Dr. Talei. 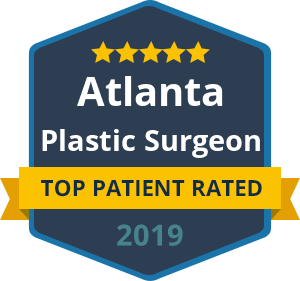 He is an elite plastic surgeon who takes the time to understand your unique goals and concerns.